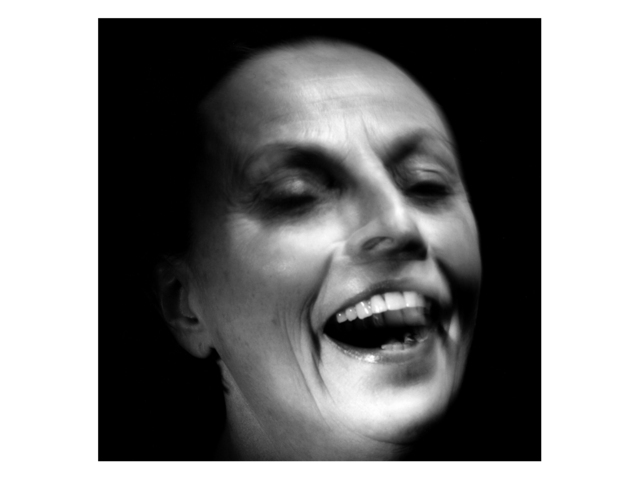 Installed in the galleries of the Goethe Institute in London in 2003, the two photographic series on display are part of a larger investigation into the photographic portrayal of laughter beyond the limits of an individual likeness entitled 'Unjoyful Laughter and the Non-Likeness of Photographic Portraiture'. The work 'Laughing in the Face of the Enemy' consists of twelve black and white photographs and was exhibited as a group at the main gallery of the Goethe Institute in London. The three colour portraits from the work 'The Mocking Chorus' were displayed in the main staircase of the Goethe-Institute. The exhibition was featured as a part of the institution’s ongoing Visual Arts Programme. Leister's research was inspired by the neuroscientist Robert R. Provine’s remark that “laughter is a harlequin that shows two faces – one smiling and friendly, the other dark and ominous”. His research is based on extensive ‘observational’ study of laughter in everyday behaviour as part of human social vocalisation. 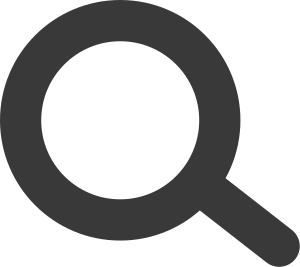 Specific attention was paid to the relationship between laughter and speech, and the biological basis of contagious laughter. Leister, through her practice-based enquiries, sought to explore these aspects in visual terms by photographing sitters ‘caught’ in various stages of laughing that are slipping out of the more legible expression of delight and appreciation thus resulting in visual suggestions of ‘malicious laughter’ possibly directed at the viewer. Leister sought to explore these unjoyful laughs in visual terms by photographing sitters in various stages of seemingly rather spiteful expressions through exploring gaps between emotion and expression - capturing moments when laughter is not simply joyful. Photography here acts as a site of projection, making reference to collective memories and cultural imaginary. 'Laughing in the Face of the Enemy' treats laughter as a reaction to an intruder, investigating the psychological vocabulary of disdain. Lighting and presentation give the sitters the appearance of classic Hollywood cinema celebrities - they look familiar, but they are not famous, their apparent recognition based on a play between familiarity and strangeness. 'The Mocking Chorus' deals with rather more sociological route into laughter through studying the isolating effect provoked when faced by a laughing comradeship. The work experiments with making the viewer feel like an outsider in front of the installation, turning him or her into an observed observer. Here the portraits needed to collaborative, as it was important for the photographed laughter to appear spontaneously directed at the photographer/viewer while the core idea that laughter can be on the surface or mask contradictions was explored.